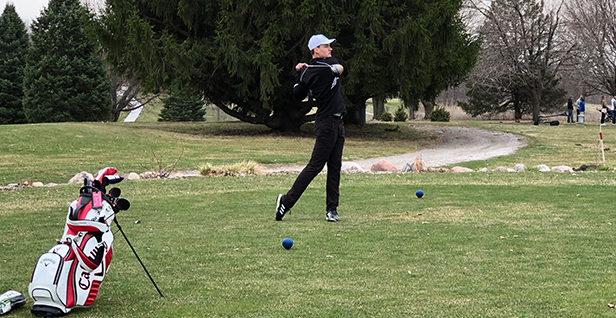 Riverside, IA – The pairings and tee times for the Junior and Pee Wee Spring Open presented by Principal Charity Classic, which takes place Saturday and Sunday, April 28-29, are now available on the Junior and Pee Wee tournament information pages. This two-day event will take place on three different golf courses. Round one will be held at the Legacy Golf Course for all Junior competitors. All groups will be teeing off the first tee, with the first group teeing off at 11:54 a.m. The second round will be held at the Tournament Club of Iowa for the Junior 18-hole divisions, and Jester Park Golf Course (Par 3) for the Junior 9-hole divisions. Pairings and tee times for the second round will be announced shortly after the conclusion of round one. Pairings will be based off scores from the first round. The Junior boys 11 & Under and the Junior girls 13 & under will play 9-hole stroke play each day, while all other Junior age divisions will play 18-hole stroke play over the weekend. For a complete list of pairings and tee times, and general information on this weekend’s tournament please visit the tournament information page. The Pee Wee Spring Open is a one-day event on Sunday, April 29 at Jester Park Golf Course. All Pee Wees will play a 9-hole stroke play format. The Pee Wee tee times will begin following the last junior group off the first tee. For a complete list of pairings and tee times, and general information on this weekend’s tournament please visit the tournament information page. The Iowa PGA Foundation Utilizes the game of golf to positively impact lives through charitable giving with emphasis on scholarships, junior golf and injured veterans. The Iowa PGA Foundation received its 501 (C) 3 status by the Internal Revenue Service in May of 2011. The Iowa PGA Foundations was formed as a charitable arm of the Iowa PGA Section, which is a 501 (c) 6 corporation. The goals of the Foundation involve golf for children, scholarships and support for injured veterans. The Principal Charity Classic is an annual PGA TOUR Champions event focused on philanthropic giving. In 2016, the Principal Charity Classic was recognized as the PGA TOUR Champions Tournament of the Year. This premier golf event raises contributions for the tournament’s “FORE Our Kids” charities, including: 1) Tournament Charity Partners, select organizations that provide a broad level of support to children of Iowa in the areas of education and culture, financial security and stability, and/or health and wellness. These organizations are supported through net proceeds of the tournament; and 2) Birdies for Charity Partners, which includes more than 100 additional children’s charities across Iowa that receive support through individual pledges and contributions made prior to and during the tournament. In 2017, the tournament raised a record $3,581,427, bringing its charitable giving total to approximately $13.5 million since 2007. The 2018 Principal Charity Classic tournament will be played June 5-10, 2018, at Wakonda Club in Des Moines, Iowa. For more information on the charities and the tournament, visit principalcharityclassic.com and follow via Facebook, Twitter and Instagram.